Copyright: You agree to give ViewPoint Gallery permission to print and exhibit your work as the winning entry for the month of the Gallery's choosing and permit use of the image in publicity and media promotions. Twelve photographers will have their winning images professionally printed, framed, exhibited, promoted and offered for sale at the Gallery for one month each. 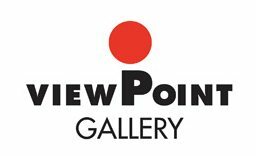 ViewPoint Gallery of Contemporary Photography has exhibited local and international photographic art for 13 years. Be part of this exciting opportunity in one of Canada’s most vibrant art communities. Submit your best images today. Image requirements: 12 x 18 inch at 300 ppi ; 15 x 15 inches at 300 ppi or 10 x 22 inches at 300 ppi; JPG format; 1200 pixels on the long side; sRGB colour space; up to 20 Mb in file size.